Who does not love games! People of all age groups is, are fond of playing games as there is a hidden child in everyone. It is true that kids play more games than elders but games are meant for everyone. No matter what your age is, you can still refresh your mind by playing games. Well, have you ever thought of playing games with your whole family? If not, then reading this post will surely make your mind think in this direction. There should be a day in a week when family members must assemble to have a great time by playing games. Sounds interesting! 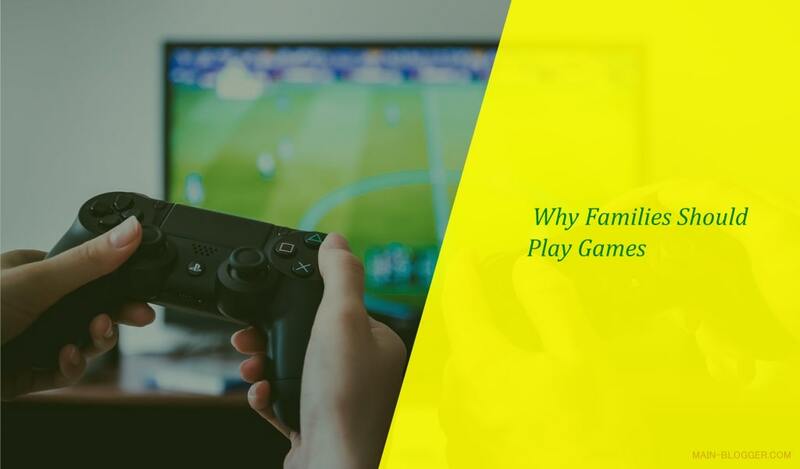 Read along to know why families should play games. The best thing about playing games with family is that there will be entertainment without electronics. No mobiles! No laptops! No kindle! Only fun! There is a wide array of fun family games, and you can pick any that you think your family will love to play. It is a great way of escaping from the world of gadgets and spending quality time in the electronic-free environment. You can even embrace card games or board games at such times. There is no doubt that playing games are fun, but when it comes to the kids, they teach several skills to them. There are different types of games, and some can help your kid in developing skills such as problem-solving, motor skills, logical thinking and much more. In fact, games lend a hand in developing decision-making skills as games have the fast-paced environment and one has to decide the next step quickly. An amazing thing that comes into play is kids will learn such skills easily as well as quickly. What can be more wonderful than spending quality time with the family! While playing games, the family will not only laugh together but will also have fun together. Just envisage that you are playing and enjoying to the fullest with your family. Incredible feeling! Is not it? Cracking jokes in between, and a lot of good conversation will create a great aura, which you will surely love. These small moments will turn out to be the cherished memories that will always stay in the treasure trove of the family. Such moments are one of the pillars in making the bond stronger. Kids, as well as parents, will be able to promote their relationships with each other just by spending some quality time. In fact, in future, they will look back at such times, which will undoubtedly bring a smile to their face. How interesting it is! Moreover, such moments will help you to learn more about your family. Playing games will not only help kids but will also help parents in a great way. You can see even as your beloved relatives to come and join at your home. By doing so, you will be able to transform the small moment into a grand event. The thing that comes to highlight is, everybody will cherish, enjoy and will have fun together.